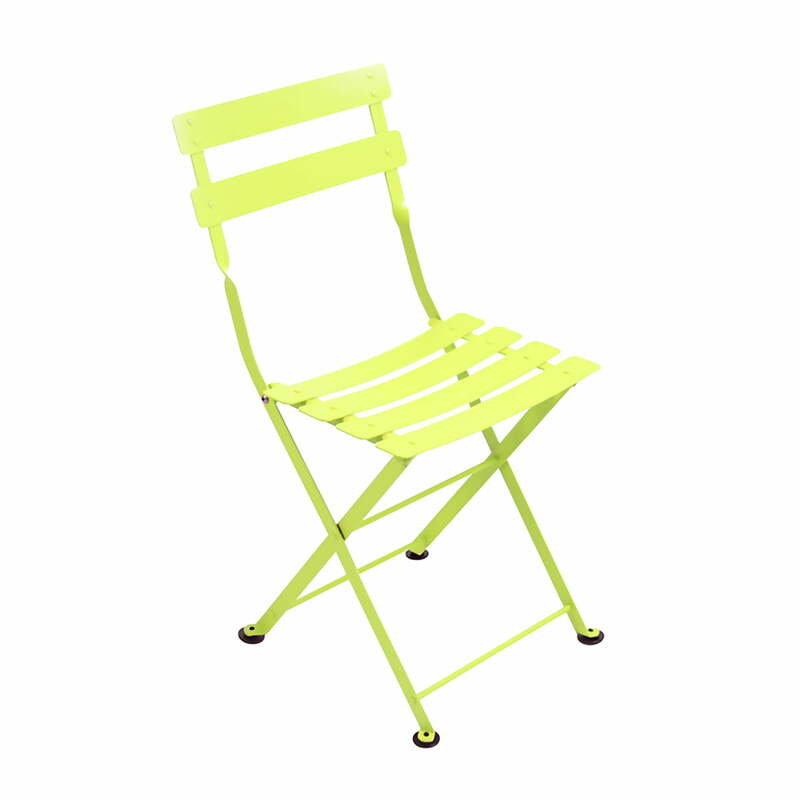 The Tom Pouce Chair is the child-friendly version of the classic Bistro Chair of Fermob's garden furniture. 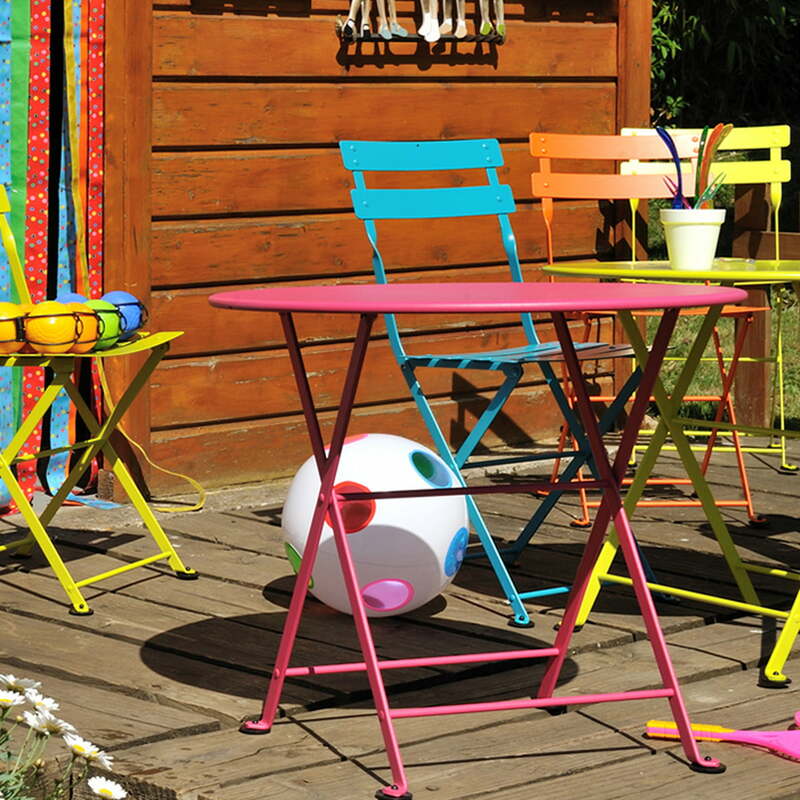 Designed and tested for children from the age 3 to 6, the Tom Pouce Chair is a colourful and sturdy chair for the use in the indoor and outdoor area. Visually and functionally, the chair perfectly adds to the Bistro Collection. The inspiration and name of the garden furniture collection come from the popular tale of the little Thumb who is called Tom Pouce in France. Size, material, colour and safety - everything of the Tom Pouce Chair is specially adapted to the needs of children. The Tom Pouce Chair was tested by Fermob according to the valid European standards for the use by children of the age 3 to 6. The light construction of the chair ensures that children can carry and move their Tom Pouce Chair all by themselves. The structure of the chair consists of old rolled flat steel. Backrest and seating surface are made from curved slats of painted, galvanised steel. 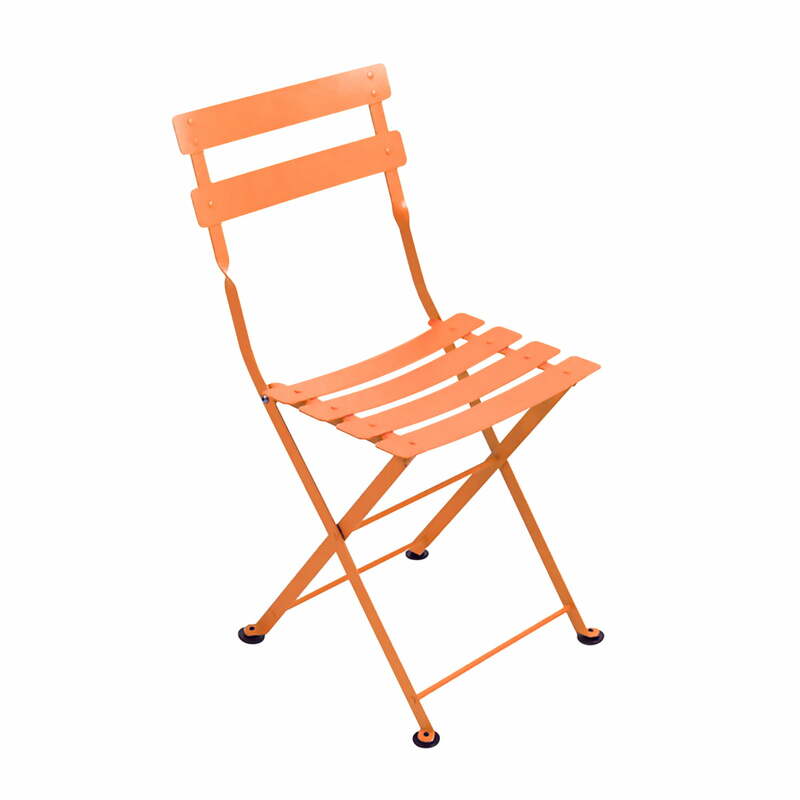 An extra rust protection treatment allows the use of the chair in the outdoor area. The coating of the foldable Children's Chair by Fermob consists of UV-resistant powder-coating. This way, the colour also easily withstands the constant burdens of the garden. Fermob offers his Tom Pouce Children's Chair in a large range of colours. Single image of the Tom Pouce Chair in the colour verbena by Fermob. The inspiration and name of the garden furniture collection come from the popular tale of the little Thumb who is called Tom Pouce in France. Single image of the Tom Pouce Chair in the colour carrot by Fermob. 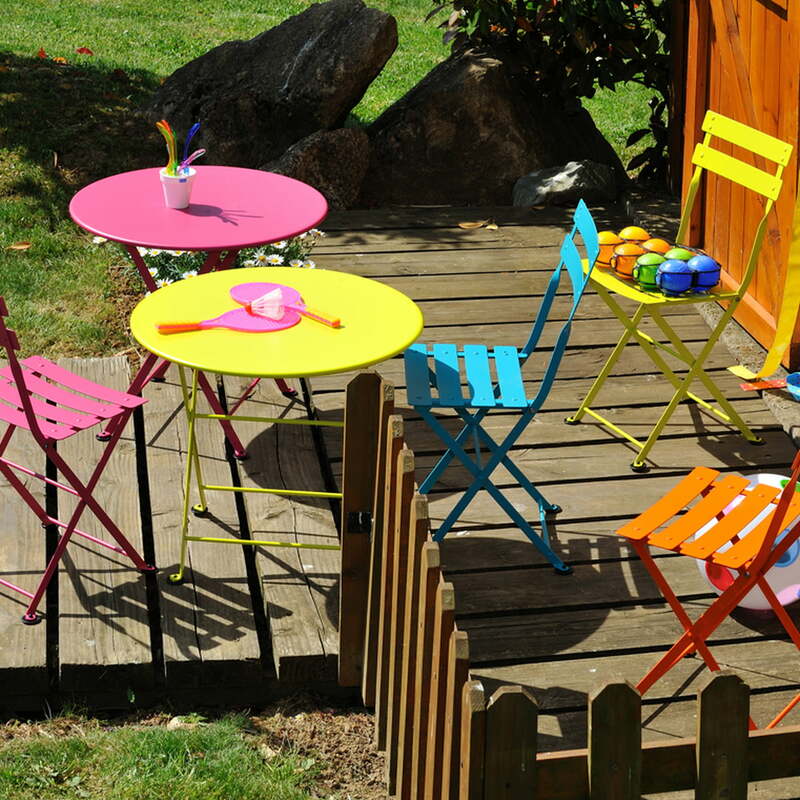 The Tom Pouce Chair is the child-friendly version of the classic Bistro Chair of Fermob’s garden furniture. The light construction of the chair and the table of the Tom Pouce Collection ensures that children can carry and move their chair and table all by themselves. Size, material, colour and safety - everything of the Tom Pouce Collection is specially adapted to the needs of children. Tom Pouce was tested by Fermob according to the valid European standards for the use by children of the age 3 to 6.